85% of consumers remembered a brand based on a promotional product they received. Cotapaxi works as a closely trusted partner and manufacturer to create, develop, and deliver amazingly effective, high value, low cost exclusive promotional products, that initiate, capture and build a truly powerful connection between your brand and consumers. 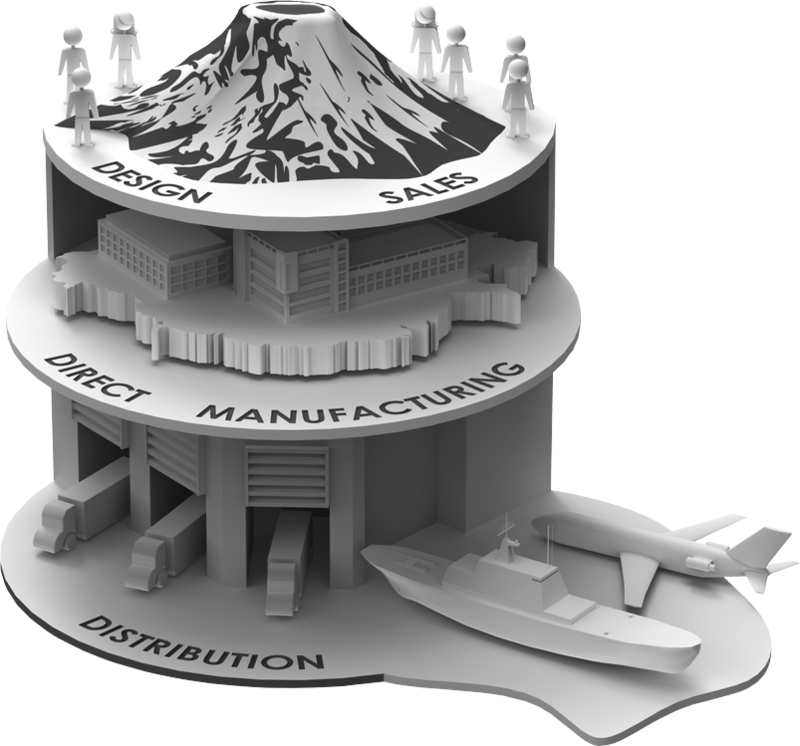 Cotapaxi has in place, a custom-built, fully integrated design, manufacturing, warehousing and distribution infrastructure. From project start to completion, this enables us to consistently keep our clients informed of their projects, from production to fulfillment, and we pledge to deliver every time. Average Rate of Impression (ROI) over the life of the product. Cotapaxi's friendly and knowledgable staff has over 75 years of combined expertise in the promotional products industry. This experience and knowledge has helped us to build a vertically integrated model like no other! Cotapaxi's methodology is that we handle conceptualization, design, development, production, quality control and distribution making the order process seamless for our clients. Cotapaxi holds patents on over 300 products with many more pending in our pipeline. We have in-house counsel to help us navigate the ever changing product landscape, protect our intellectual properties and ensure we provide our customers with non-infringing product lines. 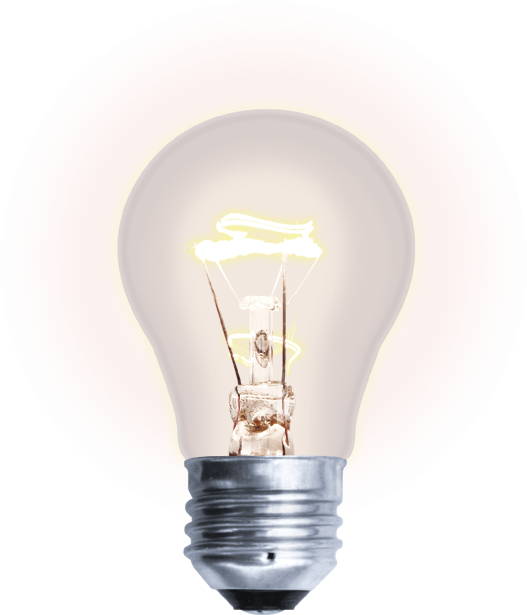 Successful innovation is dependent and directly correlated to trial and error, and the introduction of multiple ideas. It takes courage and bold action. The willingness to experiment and try new things is imperative in order to create a memorable product or brand launch. To address this vital stage of creating something unique, and meaningful, Cotapaxi will meet with you to evaluate what is most important to your needs, and what you truly want to convey to your consumer audience. Far too often, a lot of time and money can be wasted in focusing on the wrong message, so a good initial brief is essential. Upon completion of the initial sketch, our Design Team will then start to concentrate on the more technical aspects of your concept. During this process, we make sure your product will have proper functionality and that it can be built as designed; which will save a lot of time and money in later stages. This is a process that usually requires considerable research, thought, modeling, interactive analysis, and in some cases, re-design. 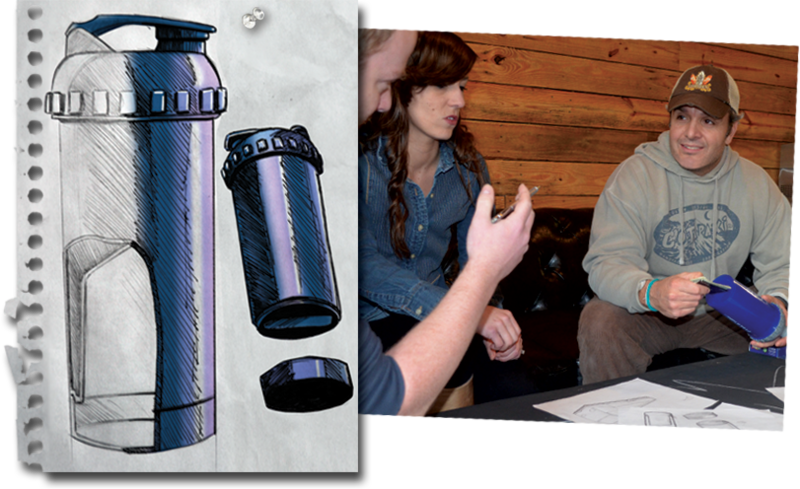 Prototyping is the first step towards bringing your concept to life. 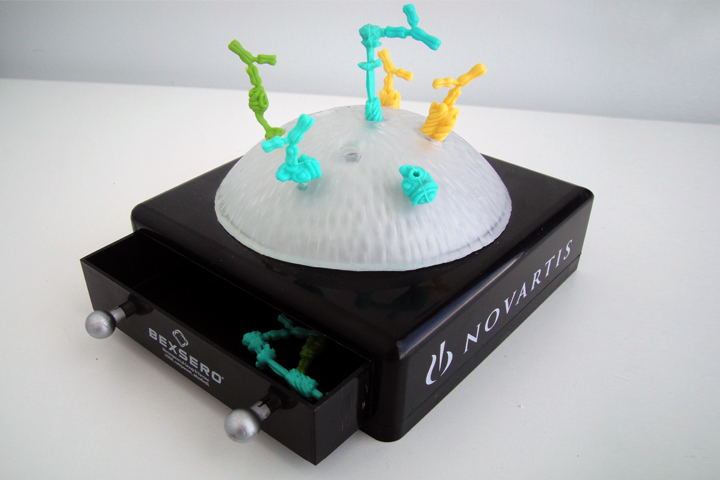 Using state-of-the-art technology, Cotapaxi can produce a 3D representation of your product, which is created from a resin. This stage is particularly helpful as it gives you a true sense and size of your product, and is also the most economical way of fine-tuning your product, prior to investing in a custom mold. Making changes and additional refinements at this stage is still relatively easy and if necessary, another prototype can be created for final review. 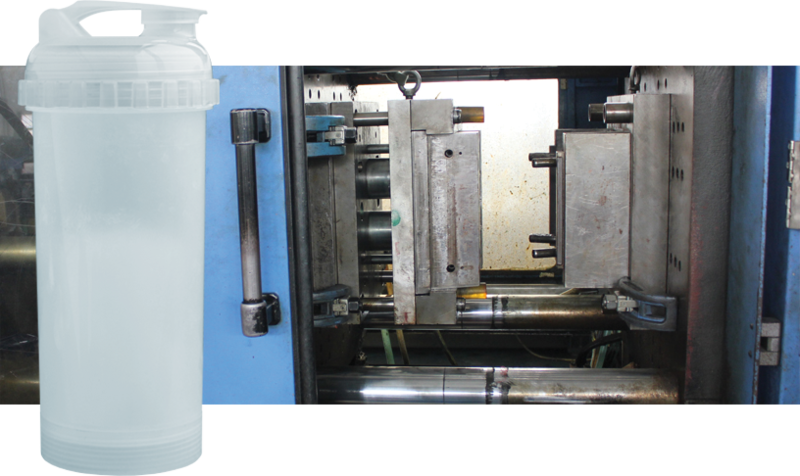 Once a rapid prototype sample is approved, we will then move on to mold development and production. The rapid prototype instructions are sent to our factory to begin the process of creating the mold(s) that will be used for production. 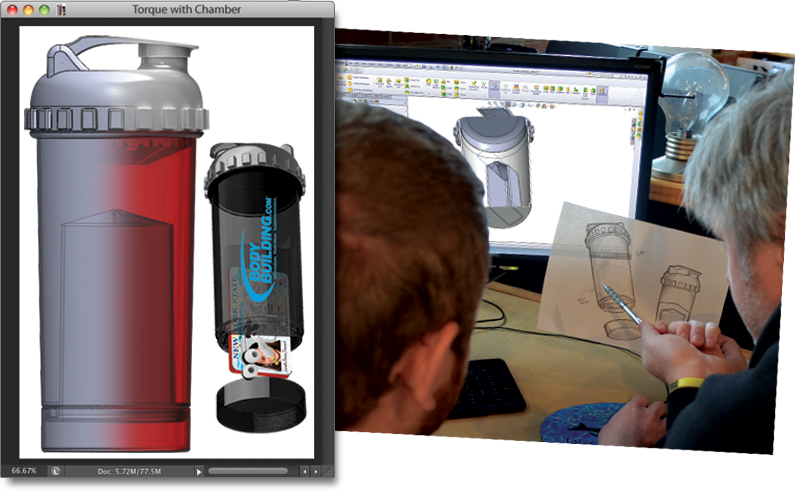 Once this process is completed, you will receive an actual sample of your product from the new mold to review. From this point of inspection, and quality control, the mold is perfected, and production commences! In addition to creating, your new product, Cotapaxi's Design Team is ready and willing to help you brand your new item and create custom packaging as well! 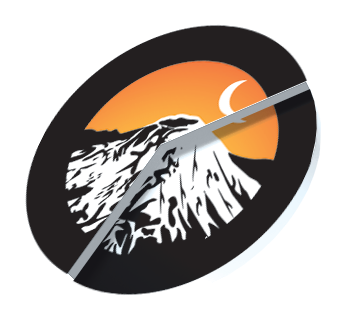 Whether you developed a new product from scratch with us or would like to use our "stock" or patented Cotapaxi items; our Design Team can help you successfully launch your brand worldwide with unparalleled customization! 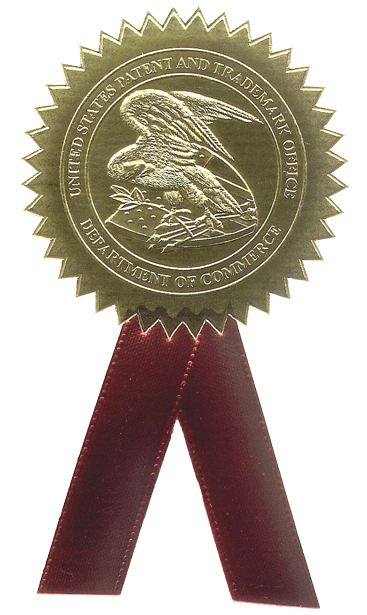 Have you thought of or designed a new product, but didn't know how to patent it or bring it to market? Contact Cotapaxi today! We would love to help you bring your concept to reality! 62% of people have done business with a brand after receiving a promotional product. Cotapaxi's state-of-art ISO 9001 certified manufacturing facility in Beliun, China's Free Trade Zone, rivals all typical Chinese factories. 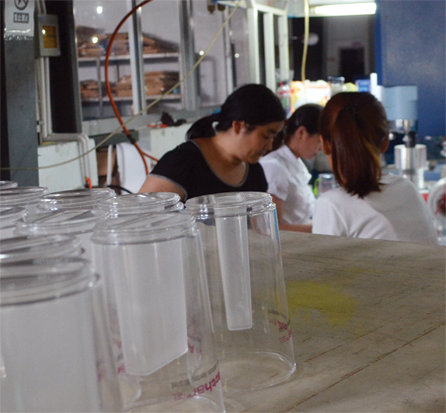 Our factory is completely social compliant and has been audited by Coca-Cola, Home Depot, P & G, NovoNordisk and more. We have over 400,000 sq. ft. of space in our wholly owned facility which houses injection machinery, a mold shop, assembly area, decorating machinery, warehousing, offices, a cafeteria and boarding for workers. Because we control all phases of production from start to finish, we are able to provide the highest quality products at the lowest costs to our clients, all while eliminating the middleman. When you work with Cotapaxi, you work direct, but with the peace of mind and trust of working with an American company! Cotapaxi provides you with the most complete sourcing package; whether it is a new out of the ordinary custom concept or a standard commodity item. We can manufacture it in our wholly owned factory, produce it in one of our 19 Joint Venture factories or find it through our web of sourcing offices within China. Our Compliance Department oversees factory audits to ensure they meet responsible quality and social compliance standards. Our Quality Control Inspectors inspect each order throughout proofing, production, printing, packaging and shipping and our team of Quality Assurance Specialists arrange all required testing and compliance requirements on Federal and State levels. Our Logistics team works directly with the shipping lines and airfreight forwarders to provide our clients with the best rates, shipping schedules and the ability to ship world wide. When you add this all up it equals an unmatched sourcing experience providing our clients with the lowest cost and highest quality products! Our logistics team can deliver your goods from our China factory anywhere in the World. Cotapaxi can provide a 5-7 day delivery from China for airfreight shipments. 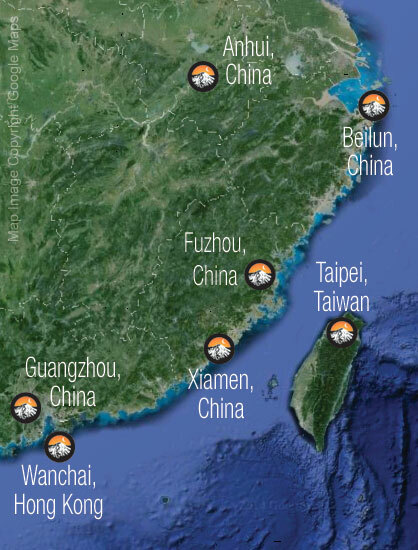 Cotapaxi can provide a 3-4 week transit time for sea shipments from China to the USA. We can also ship by Sea to anywhere in the world; please inquire for transit times. Once in your country we can ship using all major carriers direct to your warehouse or location of choice. Our domestic, 200,000 sq. ft. decoration, warehouse and distribution center in Commerce, CA, is stocked with over $20,000,000 worth of blank promotional products, ready for on-demand custom branding. 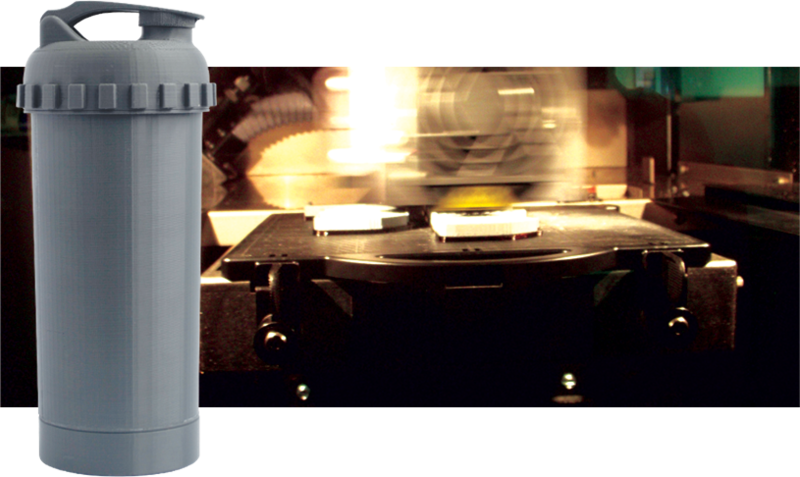 This is ideal for any size campaign requiring a quick turnaround time. Here we also offer in-house fulfillment, warehousing, and quality control. With 17 Tractor Trailer Bays, we are a non-stop hub for incoming and outgoing shipments. Cotapaxi also enjoys joint ventures / partial ownership in nineteen additional audited factories throughout China. We've got you covered! 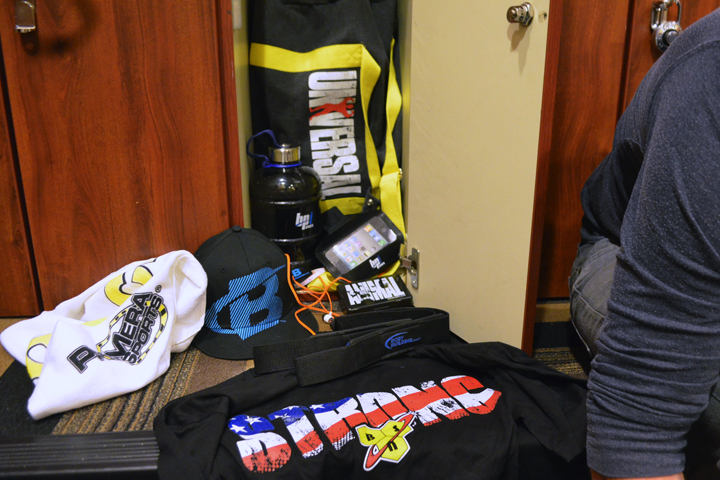 Cotapaxi is your number one stop for apparel merchandise, period. We have the largest printing facility in the country, and we are proudly equipped to handle any and all of your branding requirements. Our decoration options are endless, and we can also private label our line of products to further customize your brand! We have several key, master partnerships in place with the largest domestic name brand mills, and because of this; we are able to extend to our clients, the best pricing and production times in the industry! 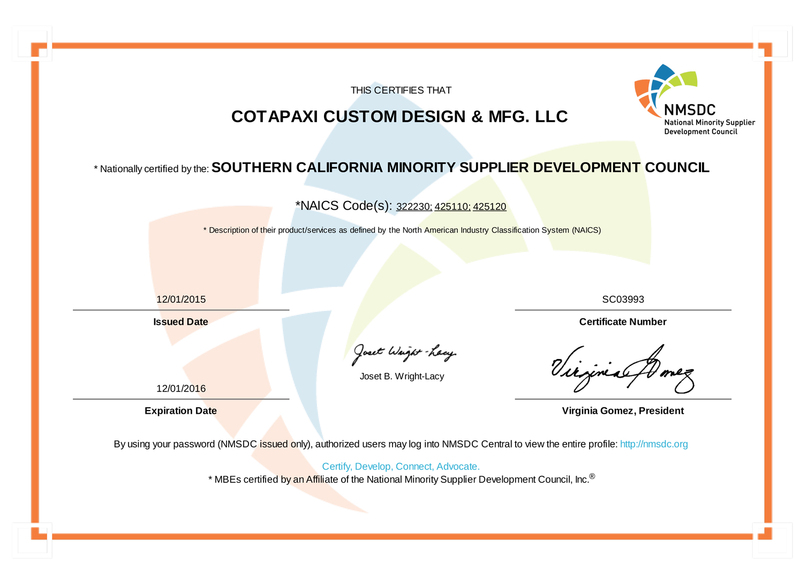 Cotapaxi is a Women Owned, Certified Minority Business. Capture first or second tier Minority Spend by purchasing Cotapaxi Products. Cotapaxi products are manufactured with veracity in accordance with the latest Good Manufacturing Practice Standards, including 18 quality systems that build superiority into our products during each phase of their development. Based on our existing manufacturing and distribution methods, Cotapaxi and our Chinese facility have both been certified by the Customs Trade Partnership Against Terrorism. 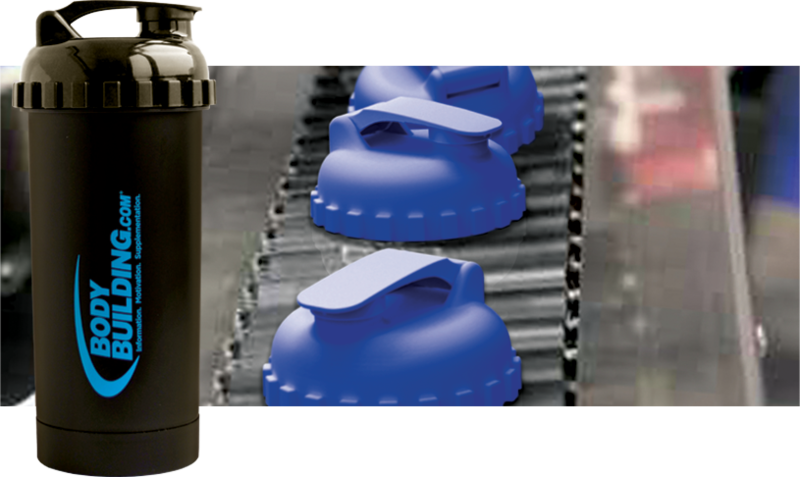 Cotapaxi products have followed the requirements set by the CPSC since inception. All of our products produced and marketed for children are always independently tested by third party CPSC approved laboratories. All of Cotapaxi's products and inks are rigorously tested to ensure that we meet the California Proposition 65 requirements. All Cotapaxi products that consumers use to eat or drink from are tested to ensure that they comply with all FDA requirements. All Cotapaxi plastic food items are BPA Free. 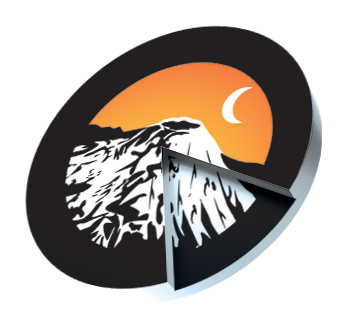 Cotapaxi is a member of ASI (Advertising Specialty Institute) so if we can't create it, produce it, or customize it we have the ability to obtain any product through this vast professional, and exclusive network. Cotapaxi is also a member of PPAI (Promotional Products Association International) as well. Access to this prestigious industry organization enables us to help you source the best ideas, products and practices in the promotional product industry. Saving you time, money and hassles. 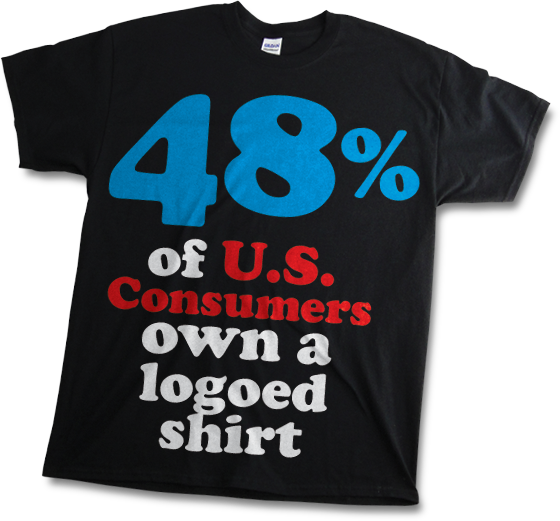 of U.S. consumers feel more favorable about the advertiser who gave them a promotional shirt. © 2014, Cotapaxi, LLC. All rights reserved. This unique 25 oz. 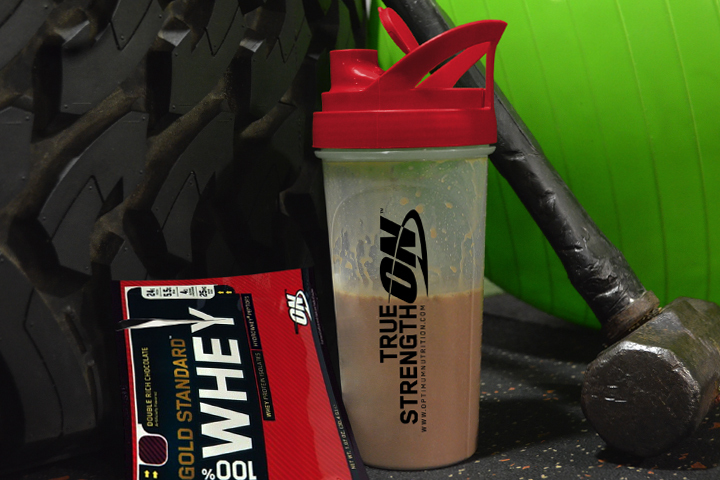 shaker features two pill cases in the cap to easily store your supplements or vitamins, and also has a detachable powder compartment for taking your favorite workout powder, while on the go. 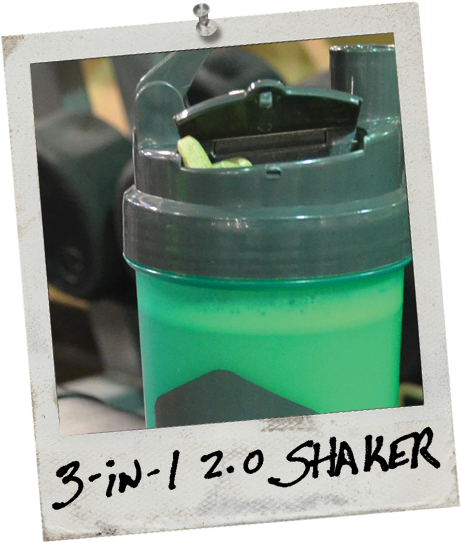 This shaker is part of our M-series of interchangeable modular shakers. Number: D634,160; D690,989; additional Patents Pending. 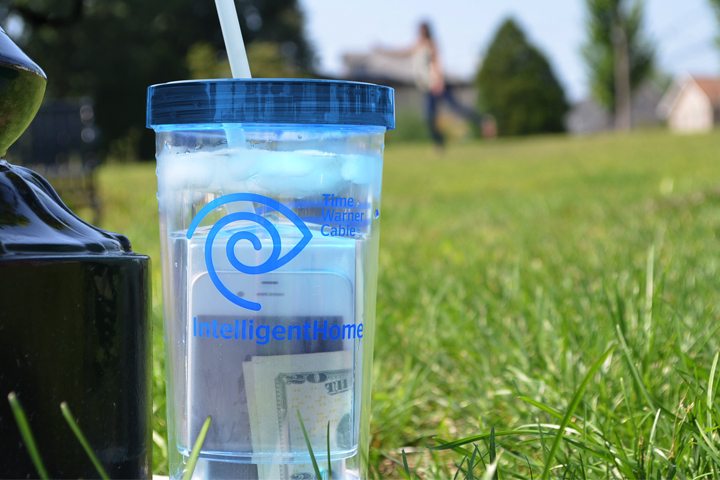 This innovative, double walled coffee house tumbler, has an inner chamber, which allows you to secure small valuables and other contents of your wallet, while holding your 20 oz. beverage on the go. Leave your wallet or purse at home, and your pockets less bulky! Fits the i-Phone 5/4s and is top shelf dishwasher safe. 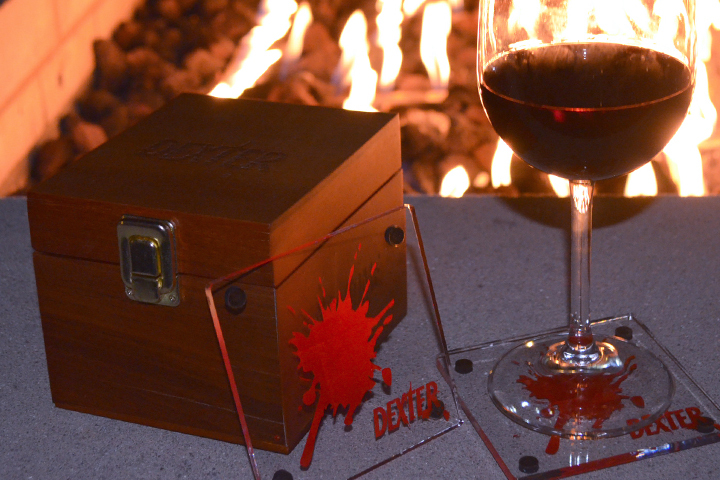 A custom set of coasters that Cotapaxi conceptualized and designed for Showtime's hit show "Dexter", has been the #1 Selling Dexter product on Showtime's online store year in and year out. 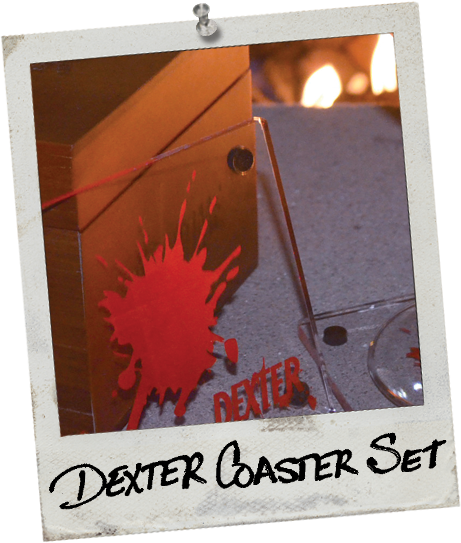 Designed to represent his kill trophies, this custom coaster set has become the ultimate collector piece for any Dexter fan. 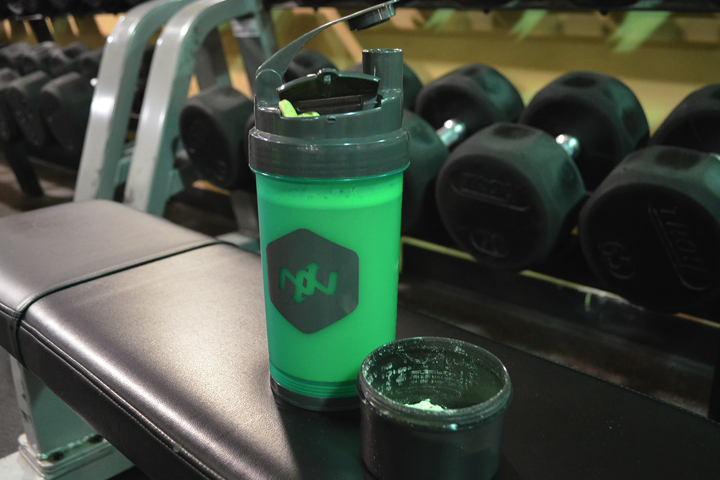 Cotapaxi's patented scoop and funnel is used for storing, transporting, and pouring your favorite workout powder into any liquid while on the go. Fits perfectly into any standard water bottle spout for easy pouring. No more mess or having to carry your tub of powder with you. 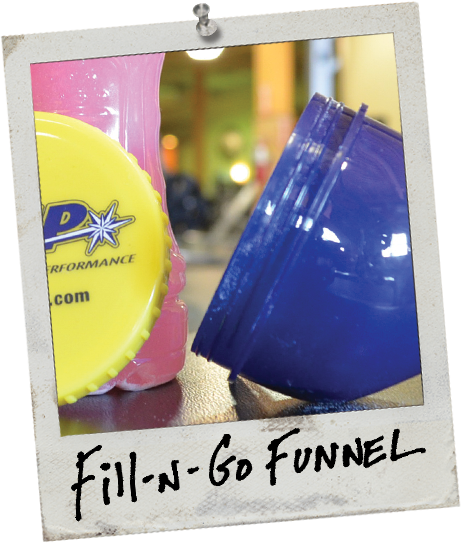 Fill it and GO with the Cotapaxi Fill-n-Go Funnel. Patents: D680,827; D676,292; D670,142 and D670,143. This 25 oz. 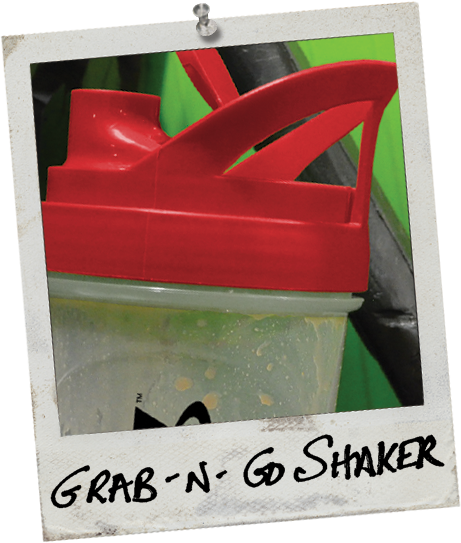 shaker has a built- in easy carry handle in the cap, and features our custom "Trigger Action Cap" (pull and push to close). 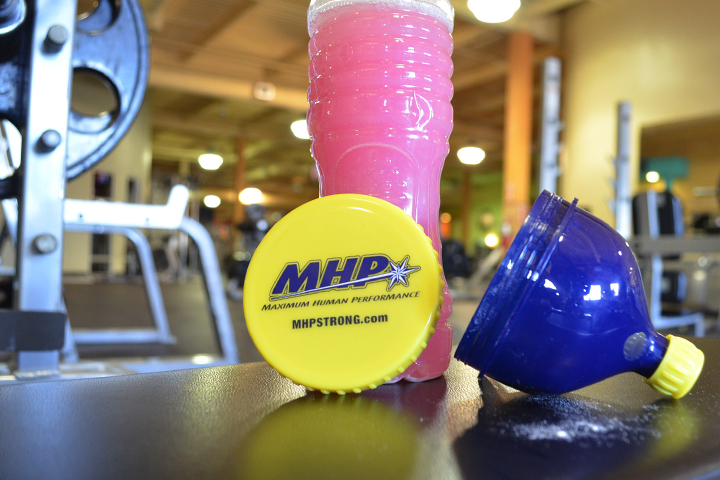 This shaker is part of our M-series of interchangeable modular shakers. 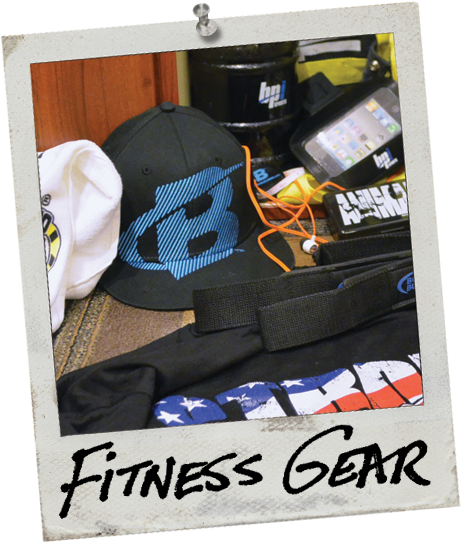 Cotapaxi has an extensive line of fitness products to fit all of your gym needs. 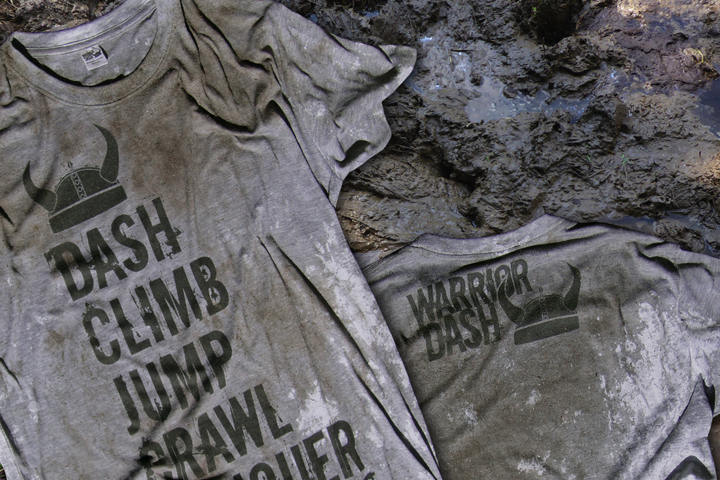 We also have the ability to help you create a custom product that can be tailored for your brand. Cotapaxi has provided medical educational aids to the Pharmaceutical industry for years. The above, is a custom piece designed for our client, which helps Doctors describe disease state and treatment to their patients. 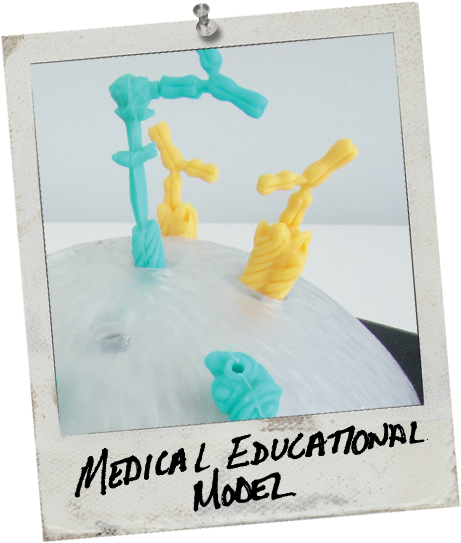 Please contact us to inquire about how we can create a custom educational product or model for you. The Scorzie is the world's only scorekeeping drink Koozie. Ideal for all popular tailgating and outdoor games. 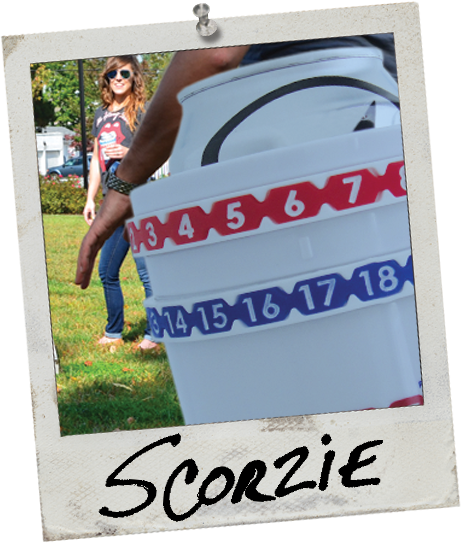 The Scorzie has two rings, one for each team; and keeps score from 0-21. There is also a Golf Scorzie for a day at the links. 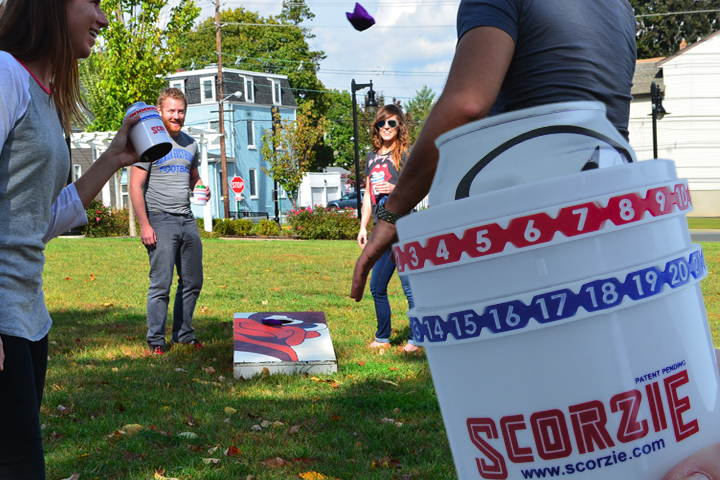 Scorzie is trademarked by Scorzie and has multiple Patents Pending. 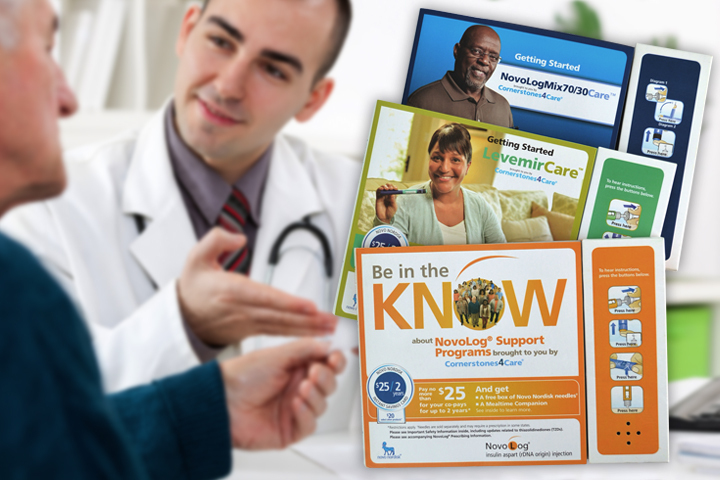 This full color brochure is completely customizable in terms of shape, size and content. It features audio and or video buttons that deliver your message with ease and crystal clear sound. 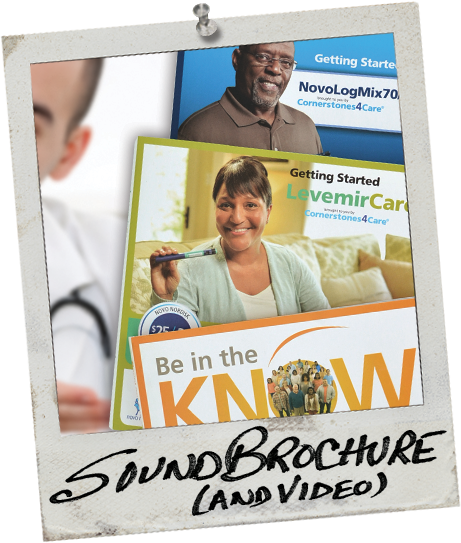 The SoundBrochure is the ultimate tool for consumer education, engagement, and conveying your brand's message to your audience. SoundBrochure Patent D685,341 and other Patents Pending. The Ultimate Desktop Item! 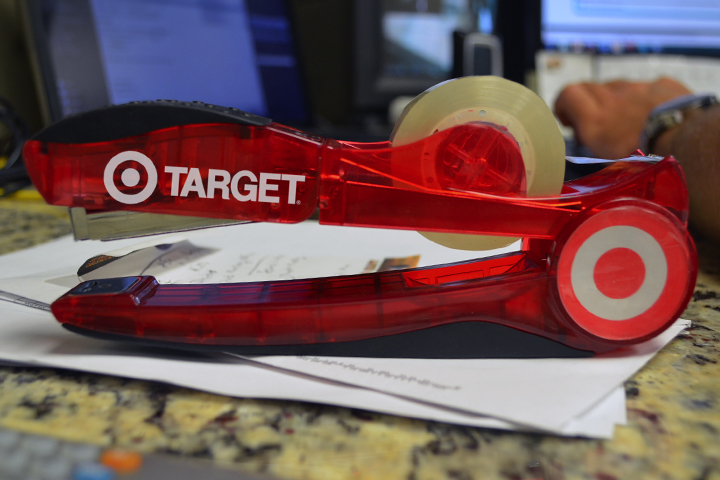 The Tapeler combines a stapler and a tape dispenser in one handy unit. It is the ideal item for reducing desk clutter. Patent 7,373,682 B2; D524,616; China Patent ZL200530116561.X and EU Patent 342183-0003. 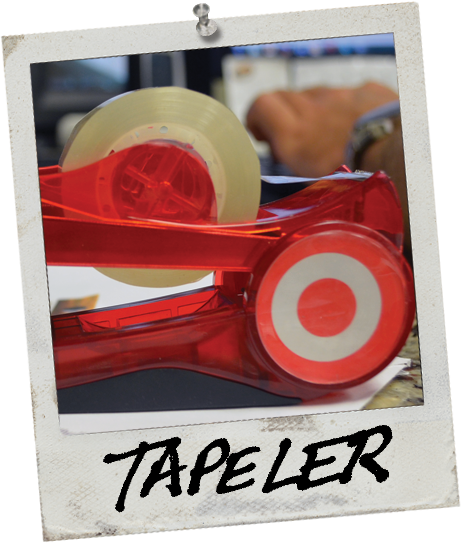 Tapeler is a registered trademark of Cotapaxi LLC. Cotapaxi is your one stop shop for all apparel merchandise! We are proudly equipped to handle all of your needs from orders as small as 25 units, to over one million units. We have the largest printing facility in the country and are able to offer you the best pricing in the industry. Our decoration options are endless, and we can private label your order; making our line of products, custom to your brand. 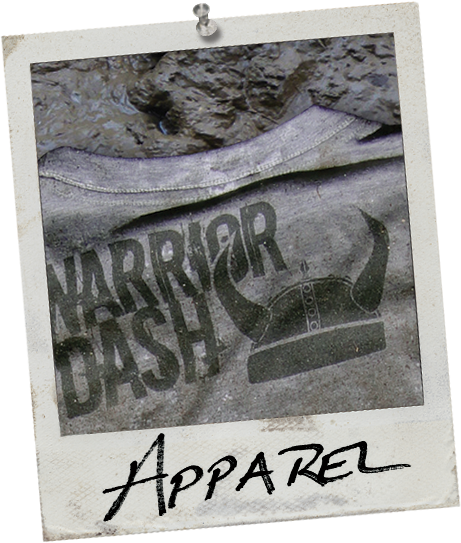 Please contact us today to go over your next apparel project. 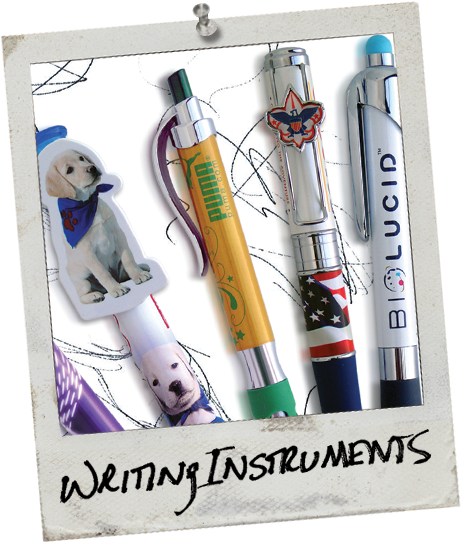 Cotapaxi has been a leader in writing instruments since its inception. Our ink refills come with a tungsten carbide ball, stainless steel tip and our specially formulated ink; which ensures the smoothest, longest writing experience. 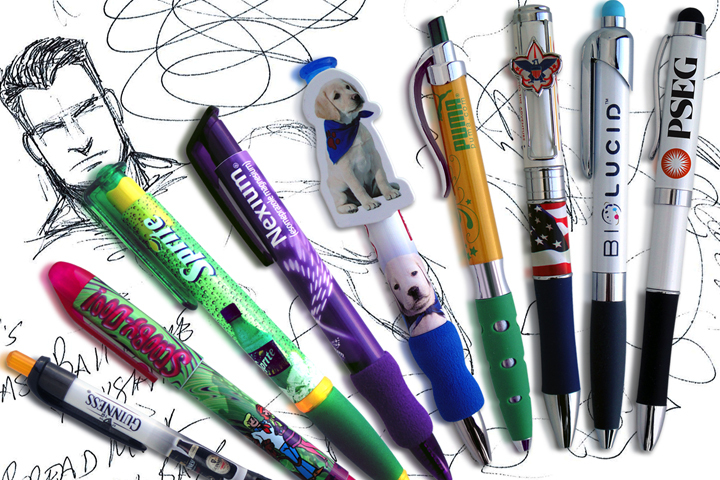 Cotapaxi pens are made of such high quality materials, that consumers would rather refill our plastic and metal pens, instead of disposing them. 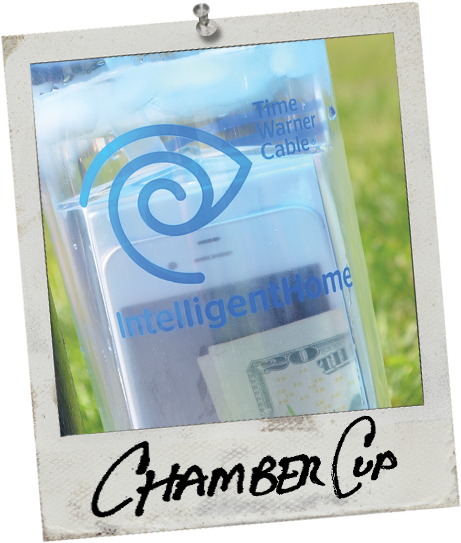 This led us to become the first company to institute a "Green" Free Refill Program for life. Pens from left to right: Renoir, DaVinci, Warhol, Shakespeare, Shakespeare with Custom Clip, Starck, Knox, The Dual Tool, and the Clifton. Each pen has Multiple Patents in several countries/regions and Additional Patents Pending.